At Apex, we take a market-focused approch to product development. In the simplest terms, we listen to our customers and develop product-based solutions to their biggest challenges. For more than 20 years, we’ve provided world-class glue and ink metering solutions – including anilox, glue rolls, and doctor rolls, as well as cleaning and auditing services – for corrugated plants, original equipment manufacturers and their brand owners. Apex International is focused on empowering our customers. GTT for Corrugated was designed specifically to eliminate the challenges that come from change anilox rolls by creating a single roll solution for full tones and quality screens. 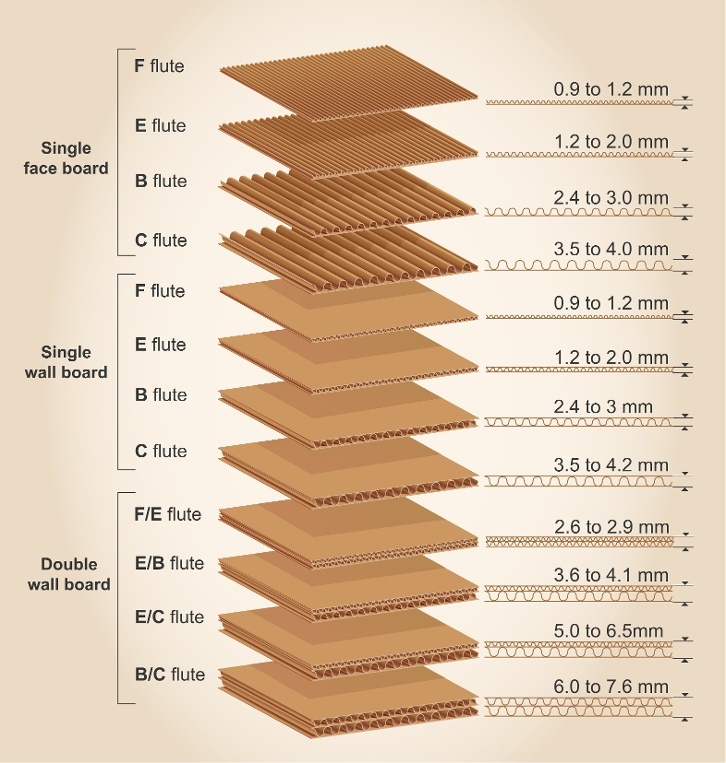 This is particularly helpful in corrugated applications due to the size of the rolls. 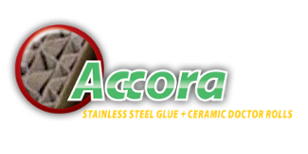 For board production, Accora from Apex was designed to grant corrugating plants a means to save on glue while also maintaining board quality and flexibility in terms of flute types made possible through industry leading TIR. Of course, being a resource of information and advice for our corrugated customers is one of our core values. For that reason, we take a value-added approach to our business. Our Value-Added Solutions around cleaning and auditing are designed to turn obstacles in your corrugating operation into opportunities for your business. Easy on starch, high on quality. Finally, accurate glue sets that deliver just the right amount of glue – job after job. Built tough for longer roll life; built smart to help save on glue costs. 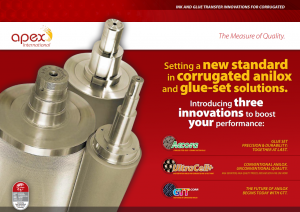 Robust materials, outside-the-box design & engineering, and precision manufacturing all merge in Accora glue sets for unmatched performance. "Applicator/Doctor rolls supplied by Apex are precision components. That is what it takes to produce Flat, Well Bonded, Dry Sheets at design speed." "Apex International is a strategic preferred supplier to the Smurfit Kappa group. Smurfit Kappa is very satisfied with the high quality products & the good cost of ownership. Together with Smurfit Kappa, Apex International is developing a high level of service and optimum cost of capital."